After the Republican and Democratic Conventions in July, the 2016 U.S. presidential race is on between Democrat Hillary Clinton, who is making history as the first female presidential nominee from one of the two major political parties, and Republican Donald Trump, the contentious and provocative New York billionaire. The race for the White House this year is undoubtedly one of the most memorable events in the history of American politics, partly because of the stark contrast between the two candidates, from their political and economic agenda to their appeal to voters. 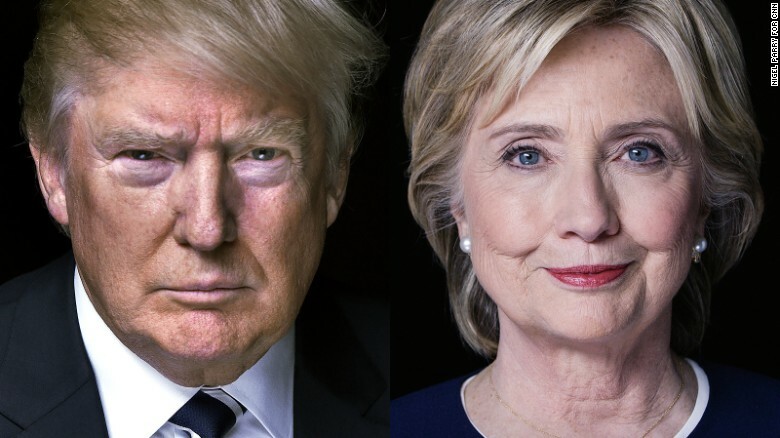 Using Nvivo, a text-analysis software, DASIL compared Clinton and Trump’s acceptance speeches at their respective party conventions to further demonstrate these differences. 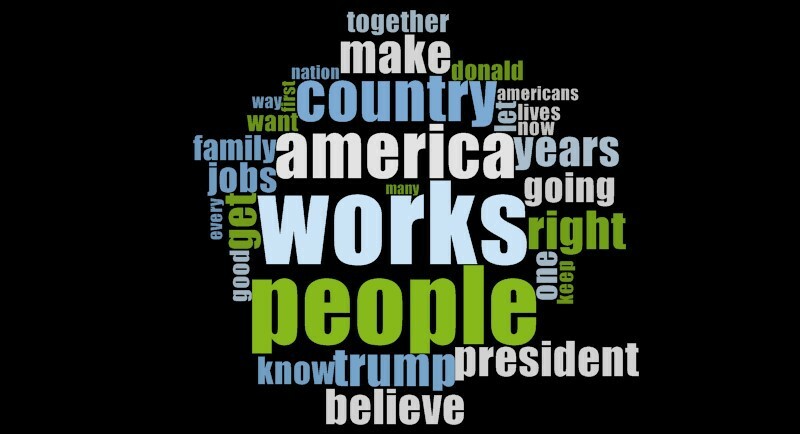 Looking at the 30 most frequent words in Trump’s speech, we can see that the main issues mentioned by the Republican candidate are immigration, national security, and public safety. 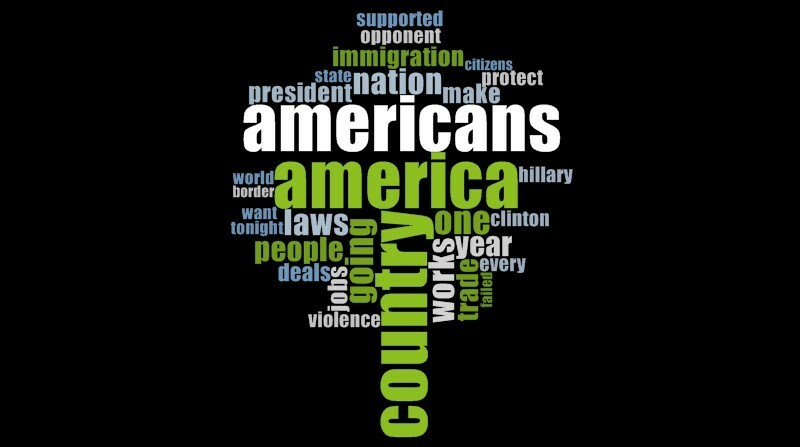 The most common words in the speech include “violence”, “immigration”, “protect”, “border”, “laws”, “jobs”, and “violence”, highlighting a dark portrait of the current state of America. Trump strongly emphasized that much must be changed in order to fix these issues, and that he, rather than a Democratic leader, will change this grim outcome by restoring law and order. Clinton, on the other hand, gave a more optimistic and upbeat speech. While acknowledging the current issues facing America and the work needed to be done, Clinton also highlighted the strengths that the nation brings to overcome these challenges. Some of the most frequent words in her speech are “family”, “people”, “works”, “jobs” and “together”, hinting at some issues that the Democratic presidential candidate wants to tackle. At the same time, these words center around the notion of inclusivity and staying united, which offers stark contrast to Trump’s anti-immigration stance, isolationism, and Americanism. 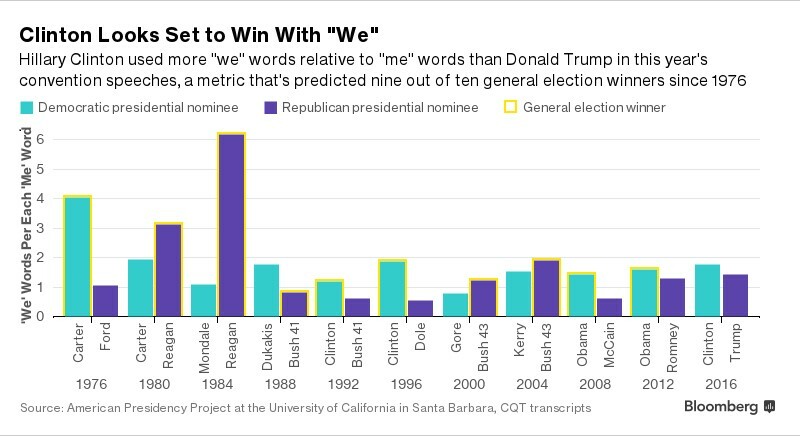 Using Nvivo, DASIL also compares how often the two presidential candidates used “we” words – such as we, our, ours, and ourselves – versus “I” words – such as I, me, my, mine, and myself in their convention speeches. Bloomberg points out that “we” words inspire confidence in others and also reflect the speaker’s self-confidence, which is a key quality in good leadership. Clinton’s “we”-to-“I” victory over Trump in her convention speech suggests that she’s in the lead position to win in November. Trump’s speaking style is more personal; furthermore, his I-word usage reveals feelings of insecurity, perhaps due to a lack of political background and experience on political issues.